As a big foodie, I am always excited to hear about new restaurants opening on my doorstep but am especially excited when they offer more than just a meal out. Jazzgir basically offers you cocktails, dinner and a show in all in one! 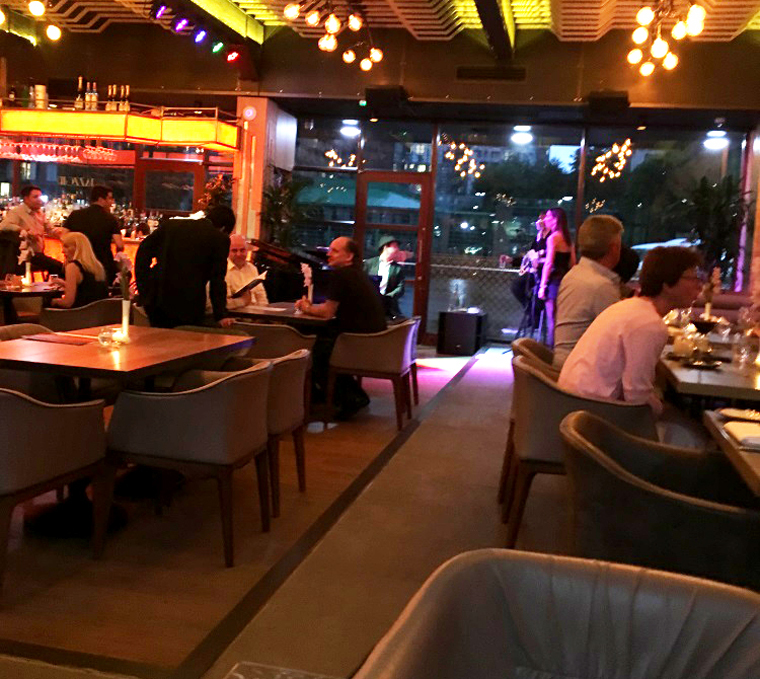 Located a few minutes walk from South Quay station (on the DLR) and easily accessible from Canary Wharf, Jazzgir only opened in June but is proving to be a popular choice for locals. As soon as you enter you get the wow factor from the impressive decor. 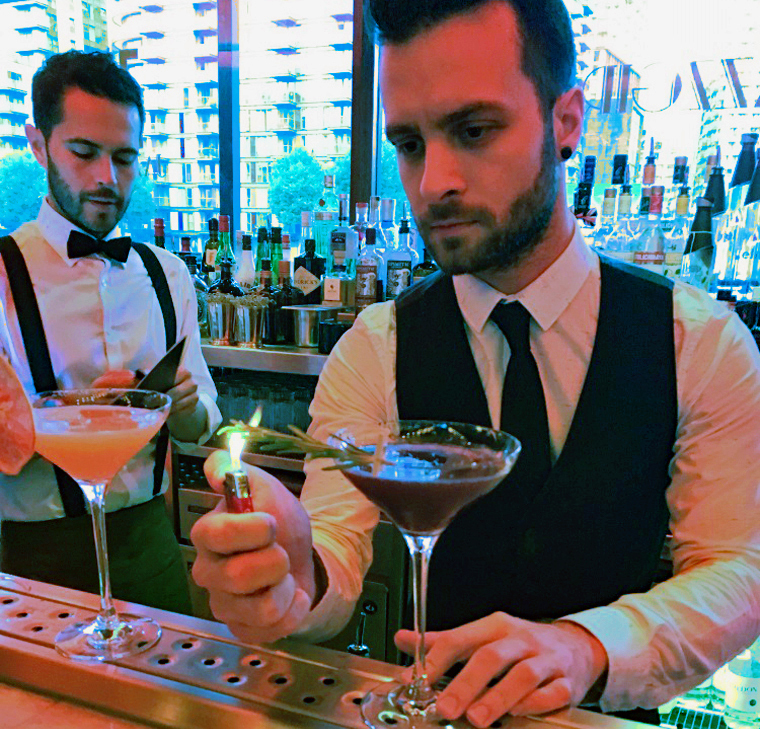 In fact it feels rather like walking into a swanky West End hotel with the restaurant decked out in a combination of warm neutral colours and golden tones, soft lighting and leather banquette seating, topped off by a stunning bar area. However, you get no pretentiousness from the staff who bend over backwards to make you feel welcome and nothing is too much trouble. Our first stop had to the bar area where we were given the cocktail menu which had been created by their head barman. Although he would have been happy to have made us one of our favourite traditional cocktails, we felt it would be a shame not try one of his creations. I went for a Purple Haze (Portobello Gin, Creme de Mure, Rosemary syrup, Cranberry juice, Lemon, Fresh Blackberries) which was finished off with a sprig of rosemary that was then set alight! Not only does this cocktail come with an element of theatre but I smelt the beautiful aroma of the rosemary every time I took a sip. My companion opted for a La Pasión (El Jimador Reposado Tequila, Aperol, Grapefruit Juice, Passion Fruit Syrup, Lime). This was an interesting mix because when first sipped, you get a big kick from the citrus fruit but after a few seconds the sweetness of the passion fruit comes through. We agreed they were both delicious! Whilst we sipped our cocktails the acoustic piano music in the background gave way to the jazz band. 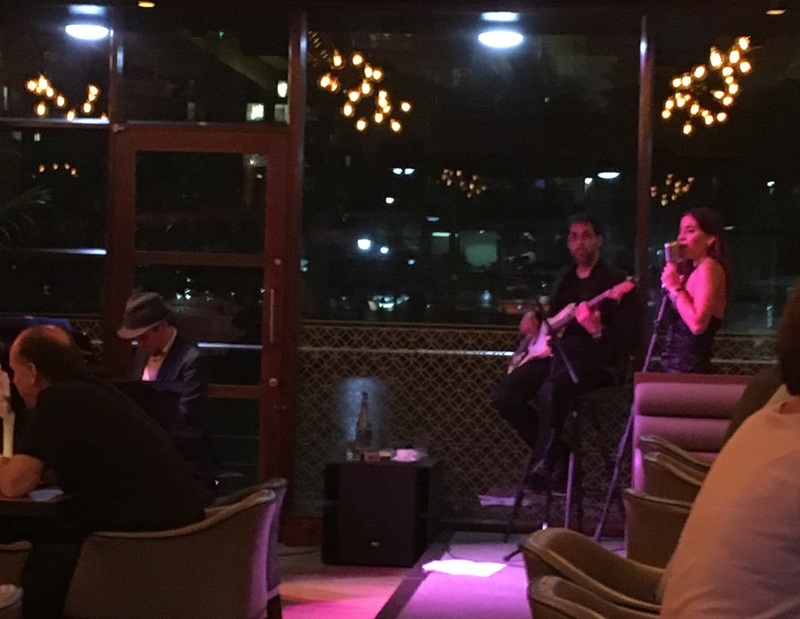 The jazz trio was amazing and the female singer had a touch of Sade to her voice (in fact she even treated us to a rendition of Smooth Operator). The addition of the music creates a wonderful atmosphere, whilst not being intrusive and you can either choose to sit back and enjoy the music or chat with your companions without having to shout. We shared the cheese platter as a starter, which came with some delicious olive focaccia bread and homemade chutneys. 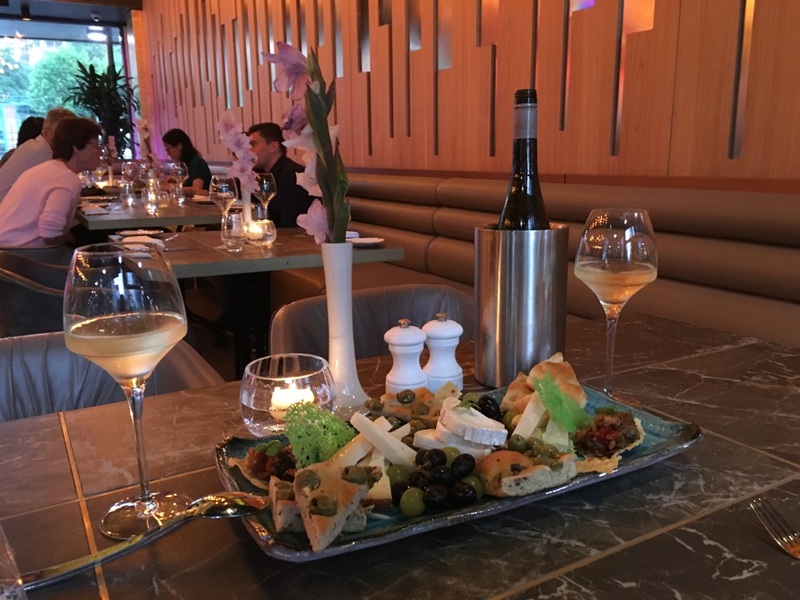 You could easily share one or two of these platters with some cocktails or wine as you enjoy the music. However, to miss out on the pasta dishes would be a travesty! I love pappardelle, which always reminds me of my holiday to Tuscany. However, rarely do you see it on a menu but here it was, together with a traditional Rabbit Ragu. This was easily as good as anything I remember from my travels and the pasta was buttery and melted in the mouth. My companion loves shellfish and opted for the crab tagliarini with courgette sauce. This is a dish you eat with your eyes before you so much as take a fork to it. 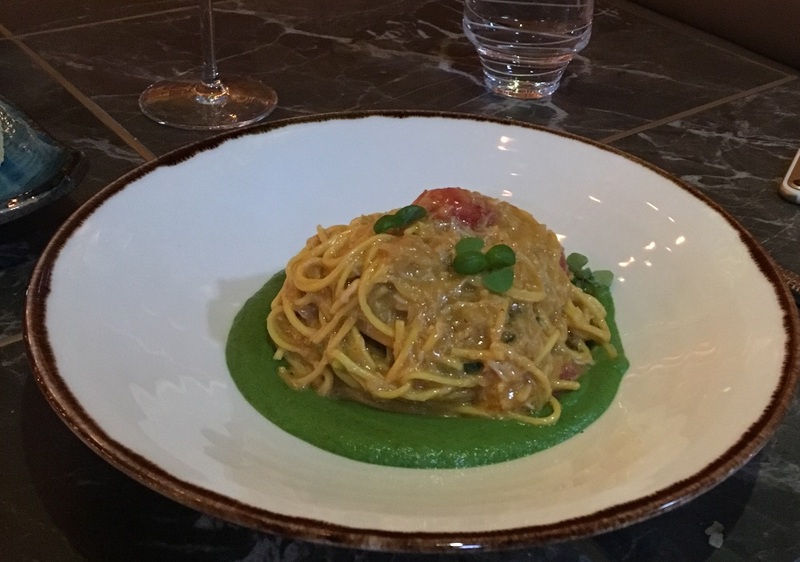 The vivid green sauce against the silky, champagne coloured pasta was a delight. Given she carried on eating long after telling me her waistband was straining meant it tasted as good as it looked! 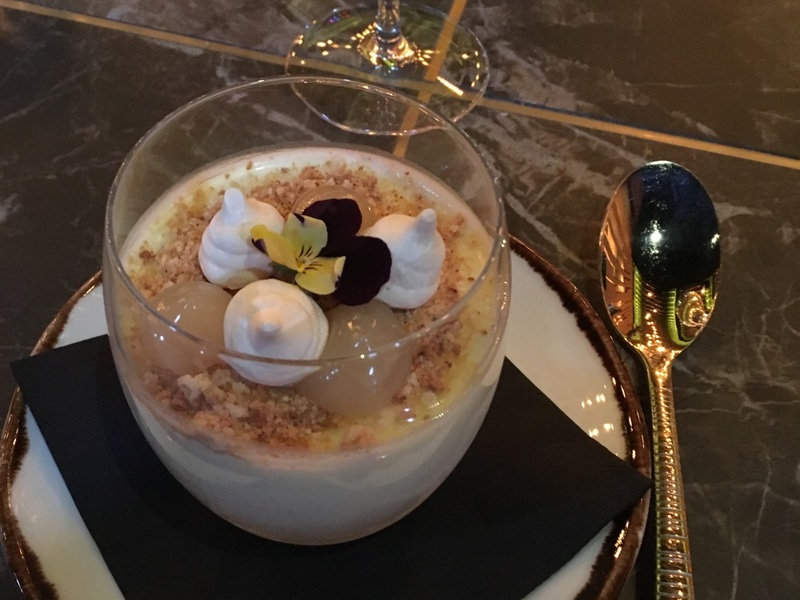 We shouldn’t have had room for anything more but when the waiter brought over a lemon posset for us to share it would have been rude to say no! Again, it looked stunning with tiny edible flowers and small pieces of meringue on top. It had a much lighter consistency than you would normally expect but was to die for and finished off with some amaretto crumb and a hint of lemon curd gave it the most wonderful flavour combination. As I said before, the staff really were delightful and you could tell they wanted you to enjoy your experience with them. We were never rushed and there was just the right pause in between courses. The barman even insisted we had to try his after dinner cocktail before we left (oh well go on then we said!) 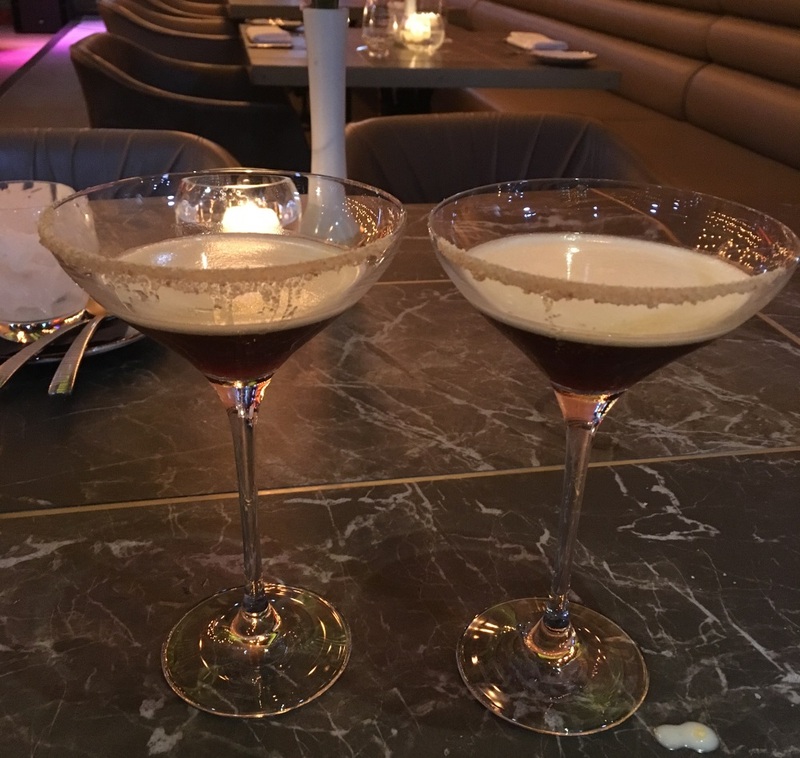 This is his take on an Espresso Martini, a Caramel Biscuit Martini. 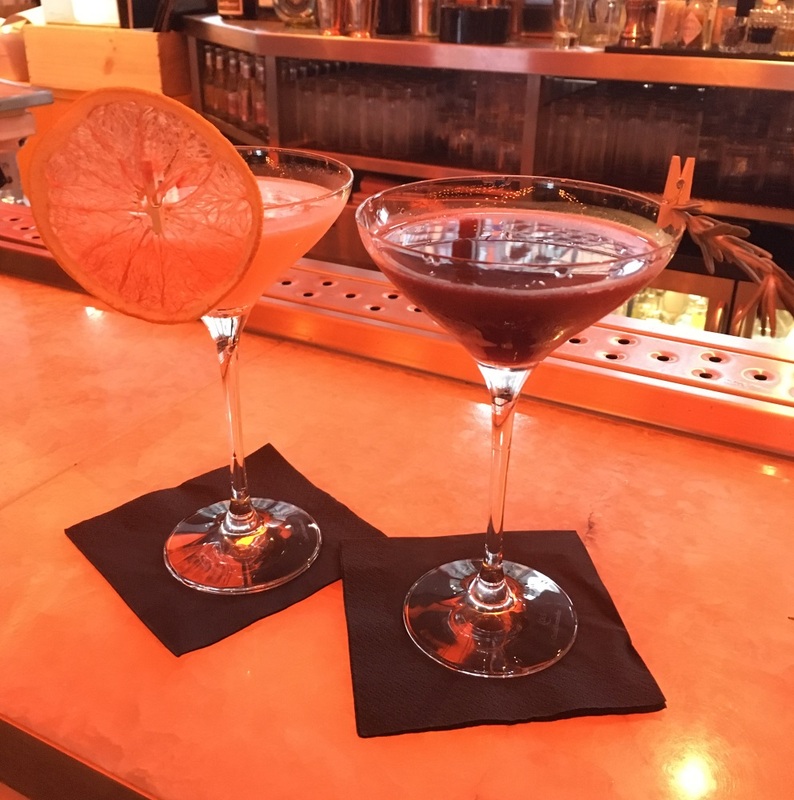 Red vodka is mixed with salted caramel vodka and coffee liquor to create a sweeter version of the original. With more of the amoretti crumb around the rim of the glass, it was heaven for anyone with a sweet tooth. I am extremely lucky to live within walking distance of this fabulous restaurant and will most certainly be coming back for another visit soon.